I’m not just a watchmaker. I love watches too. I try not to dwell on them too much here because if you check out the blogroll there are plenty of people blogging about every new watch that hits the market. I do however want to spend today writing about watch catalogs. They help fill my dreams at night. The serve as a historical reference of watch models. It is important for me to know if a watch is authentic or not. I’m pretty good with Rolex, but when it comes to other brands it becomes more tricky. Catalogs prove to be a great reference. There are also some other great references. Every watch collector and watchmaker needs a copy of Cooksey Shuggart’s Complete Price Guide Watches 2008 . 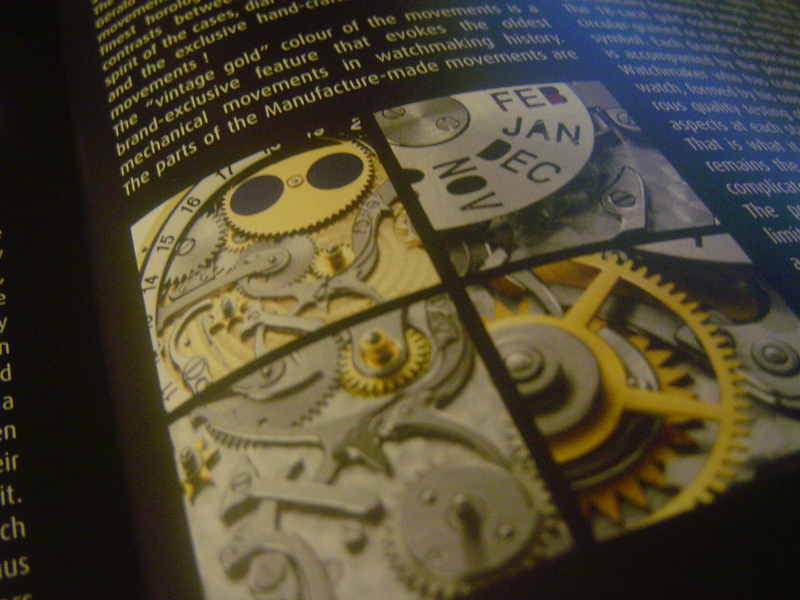 I also like the Wristwatch Annual . For Vintage Rolex Sports Models the book with the same name works well. I don’t have a really good reference for other Rolex models yet, if you can recommend one please feel free to comment. Whenever I see a beautiful catalog available I try to get one to add to my collection, I’d like to build a historical record because I know it will be valuable in my profession. Oh and they are fun too. This entry was written by J.Peter and posted on March 24, 2008 at 7:29 pm and filed under Rolex, watches, watchmaking. Bookmark the permalink. Follow any comments here with the RSS feed for this post. Post a comment or leave a trackback: Trackback URL. The best of time ‘Rolex’ An unauthorised history by James. Dowling and Jeffrey Hess. Probably one of the all time greats in historically tracking down ‘Rolex’s history and growth. Not available anywhere now, you have to search hard for this hard cover book! I understand that there may be a print run available 2008, but is purely hearsay. James Dowling, an enigmatic personality- drafted this book by visiting many many dealers in London, Uk.The Rolex watch co., London, The Portobello market, David Duggan’s corner shop, the Art and Antiques boutique in London, and several dealers helped James to finally put forward his research onto paper. If you are interested in catalogs, I have quite a few extra back stock books for IWC, JLC, Lange and Patek that I can send you.I try to keep on hand every catalog I can get as they are a fantastic reference for movement info as well as water resistance rating when testing the watches. Good to see you are doing well, keep up the great work.